Was Tomas De Torquemada, a pious man? A sainted arrow sent from heaven to destroy evil? Or was he a cruel fanatical fundamentalist, and an abuser of power? These questions are still being asked today by scholars and historians, trying to dispel the myths and misreporting surrounding The Spanish Inquisition. A Spanish chronicler called him “the hammer of heretics, the light of Spain, the saviour of his country, the honour of his order”. In modern day he has been portrayed in musicals, movies, such as The Pit and The Pendulum, and in Mel Brooks’ History of The World, Part 1. Torquemada was born in 1420 and died in 1498. Ironically he had Jewish heritage, and came from a family of conversos, on his great grandmother’s side. 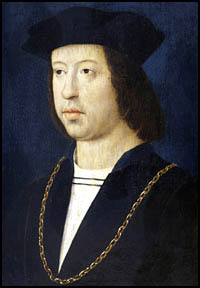 In his early youth he entered the Dominican Monastery at Valladolid, and later was appointed prior of the Monastery of Santa Cruz at Segovia, an office which he held for twenty-two years. The Infanta Isabella took a shine to him, and chose him as her confessor, and when she succeeded to the throne of Castile in 1474 he became one of her most trusted and influential councillors, but refused all high ecclesiastical positions, choosing to remain a simple friar. I’ve read numerous accounts about Torquemada’s life but it was not the Inquisition that peaked my interest the most, it was his, almost single handed involvement in the expulsion of the Jews from Spain. The Jews found a powerful means of evading the tribunals. Their riches had made them very influential and the Inquisition had no jurisdiction over them. 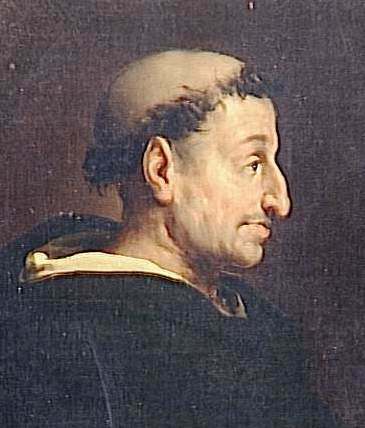 On this account Torquemada urged the sovereigns to compel all the Jews either to become Christians or to leave Spain. To frustrate his designs the Jews agreed to pay the Spanish government 30,000 ducats, (Gold coins worth hundreds of thousands of Dollars, in today’s money) if left unmolested. There is a tradition that when Ferdinand was about to yield to the enticing offer, Torquemada appeared before him, bearing a crucifix aloft, and exclaiming: “Judas Iscariot sold Christ for 30 pieces of silver; Your Highness is about to sell him for 30,000 ducats. Here He is; take Him and sell Him.” Leaving the crucifix on the table he left the room. Chiefly, through his insistence, some 200,000 Jews were expelled in, 1492. Torquemada was deeply feared, yet he was terrified of the Moors and Jews. He was an austere man, by nature, but some believe he was genuinely pious, and devoted to his religious beliefs. Given that, in Medieval Spain, many young men of good breeding entered the church to enhance family status’, leads me to think that the clergy of that time were not necessarily, good men, or fervent supporters of God’s written word. Some were known to be corrupt, whoremongers, and even assassins. My new novel, The Errant Flock, out now on Amazon, worldwide. I couldn’t make up my mind about him earlier when I researched for my talk on Isabella and Ferdinand. But they were all fanatics leaving no room for debate or a different opinion. Thanks Anna. I am aware of that. I will be writing more on the subject.